Literacy does not mean simply reading and writing. Literacy in any career includes technology, skills, and all things necessary to assure career success. 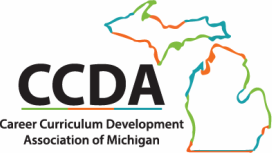 CCDA members have a myriad of resources used by all school systems in Michigan to help teachers prepare their students for success in a chosen field. We would like to share those resources here to enable your success as well. These are websites that we (or other CTE teachers) have found to be helpful. We do not maintain these sites and do not have control of their content. If one of the links is broken, please use the "contact" button at the top of this page to let us know. Some of these are lesson samples that could be adapted to other programs.